par Cheryl Kayahara-Bass, Ph. 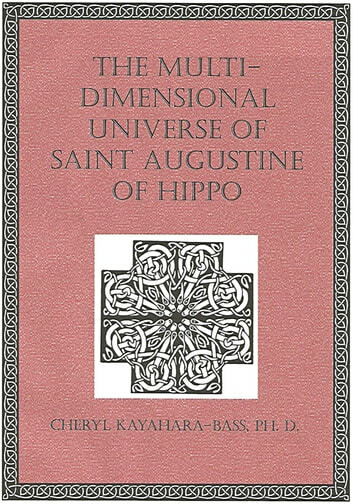 D.
Augustine of Hippo, one of the greatest and most influential minds in the history of Christendom, was not only a Bishop and theologian, but the author of arguably the most influential and authoritative &apos;Grand Unified Theory&apos;, in the true sense, in the last two thousand years. Augustine&apos;s writings cover not only pastoral and ecclesiastical matters, but wander all over the knowable intellectual universe. Sometimes in large works such as the City of God, and still other times in bits and pieces throughout letters to friends, his topics range from the nature of God and the human soul made in His Image, to early conceptions in physics, the theory of time and space, the nature of evil and its effects on creation, the nature of matter and energy, even physiology, including brain and brain stem theory; anything potentially within the reach of the God-seeking human intellect. These topics were explored often adventitiously, even randomly, as his imagination and the needs of his flock suggested. 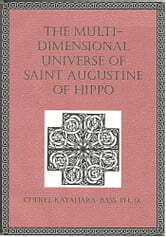 The Multi-Dimensional Universe of Saint Augustine of Hippo is an attempt to build from the many threads and fragments of Augustine&apos;s thought a coherent and unified world view about the universe on a most fundamental level, including cosmological, ontological and theological aspects of his thought, beginning first in a study of the fascinating and complex world of Hellenistic intellectual culture that nurtured his beginnings. Saint Augustine the saint, the cosmologist, the theologian, the logician and even the ancient scientist are linked together in a conception of reality that moves the cultural mind away from both the Greek concepts of the ancient world and even the early Church Fathers into a mature and sweepingly comprehensive new Christian mind for the western Church, both reflecting and feeding the whole new world that was unfolding. "Without Ceasing to be a Christian"
What Has Wittenberg to Do with Azusa?